Lot 4: Celtic World. Cisalpine Gaul, Insubri. 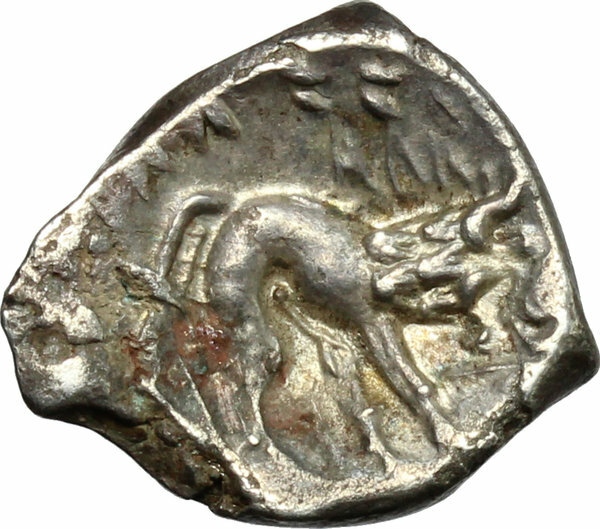 AR Drachm, imitating Massalia, 2nd-1st century BC. 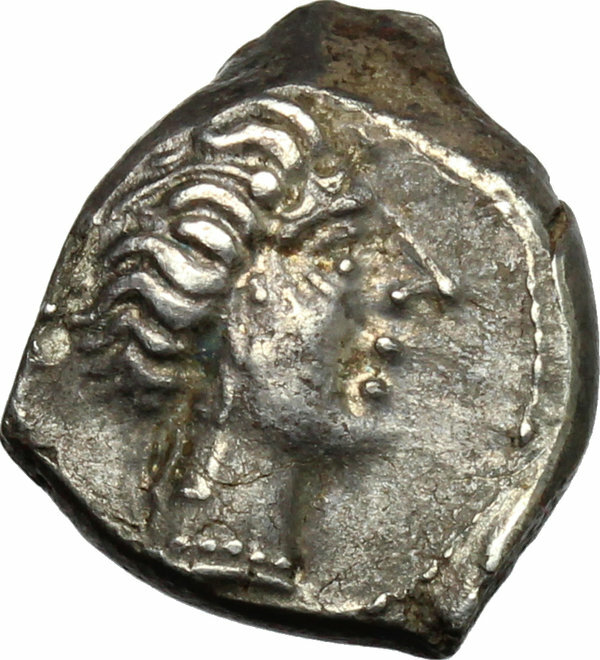 D/ Head of nymph right. R/ Stylized lion right; pseudo-legend above. Cf. Pautasso XXXV, 436 and LXXXVI, 442. AR. g. 2.64 mm. 15.00 Good metal. Brilliant and superb, lovely light iridescent tone. EF.